Need an asset tracking solution? Try Asset Panda's customizable mobile and desktop apps free for 14 days. Choose your own advantage – this product has plenty! 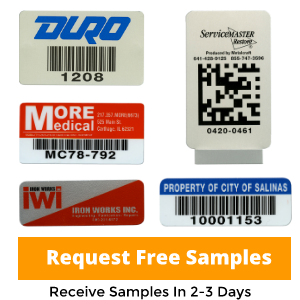 Whether it’s unlimited color options, a thin profile, digital printing, UL approval or others, ID Advantage Barcode Labels are ideal for high volume applications in a mild to moderate environment. Not only does adding the .001” thick clear polyester over-laminate to the label provide additional protection to the bar code and/or copy, but it also creates a UL approved label for those applications where UL approval is required. In addition, with hundreds of die options available chances are we will have the size you need. 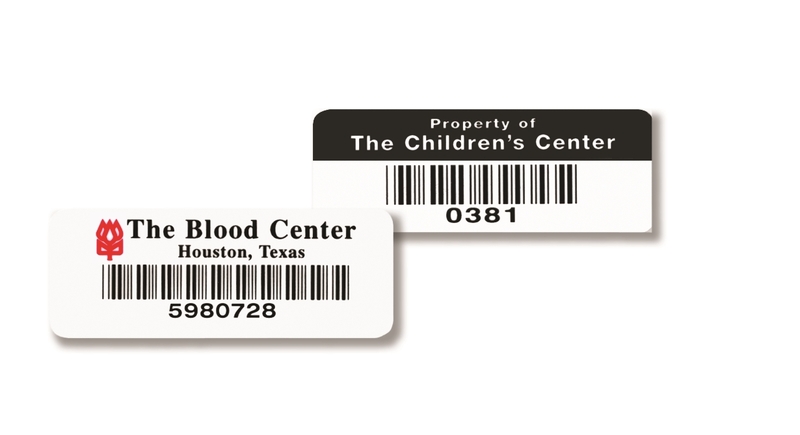 Available with or without a barcode, ID Advantage Labels are produced using our digital printing process, which – when combined with unlimited color choices shows off even the most detailed logos, type and artwork. 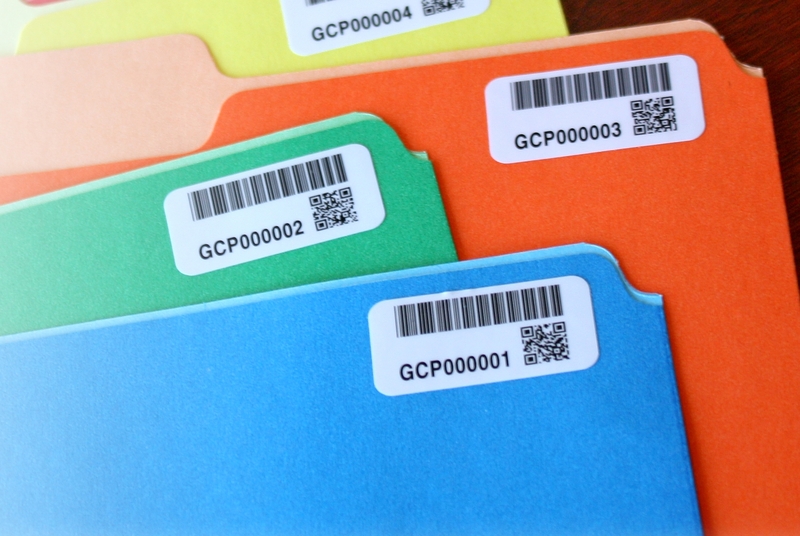 Production Time Copy only, serialized/unserialized numbers and barcode with human readable numbers. Durability Score is a set of measurements used to determine how well the label will withstand certain elements. Based on a 0-5 scale, 0 being no durability and 5 being outstanding durability, the tag is rated in four distinct categories and receives a total average score to indicate overall durability. Material .002” thick white polyester; available with .001” thick clear polyester overlaminate. Serialization Barcode and human-readable equivalent is digitally printed – providing excellent clarity and easy scanning. Code 39 is the standard symbology with a range of 2.7 to 9.4 CPI (characters per inch). Optional linear and 2D symbologies available. Although this product is primarily marketed as a bar code product, we can produce it with human-readable numbers only or unserialized. Colors Standard colors include black, red, yellow, green or blue. Custom spot colors are also available at no additional charge. Due to contrast needed for the bar code scanner, all bar codes are black. Packaging Shipped on convenient rolls with scrap matrix removed for ease of removal. Cleaning solution is provided to assist in applying to a clean surface. Cartons are clearly marked to indicate serial numbers of labels. Copyright © BuyAssetTags.com. All rights Reserved.